An overland tour from Johannesburg to Durban. This adventure is for those looking for a wildlife, culture and scenic experience. 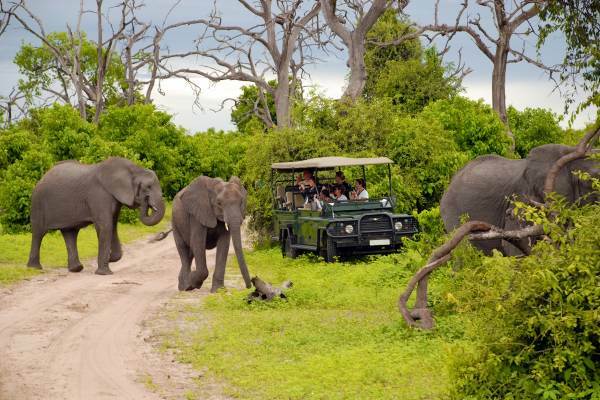 Excellent game viewing in the Kruger Park, the wetlands of Isimangalaso and Hluhluwe- Imfolozi wildlife reserves. 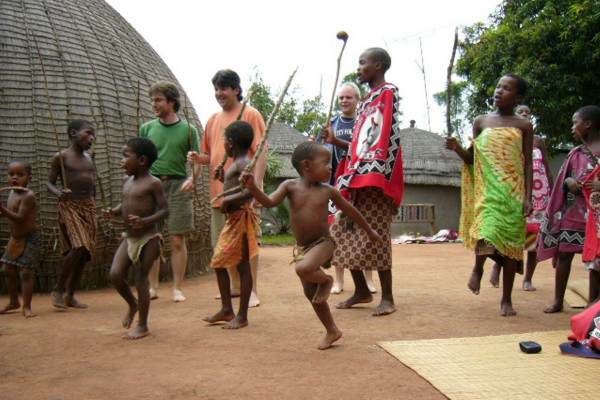 The Kingdom of Swaziland offers an insight into traditional culture and an opportunity to engage with the community. Pass by traditional villages (kraals) as we travel along the scenic coastline of “Zululand”. This tour shows off all that South Africa has to offer – Highly recommended. For those looking for something more comfortable - this tour does have an accommodated option. Another early start as we head off on our final game drive through the Kruger Park and an opportunity to spot any of Africa’s famous Big 5 which we may have not yet spotted. We exit the park in the south and head to the Kingdom of Swaziland. Crossing the border into Swaziland we head to Milwane Nature Reserve where we set up camp. The morning is spent exploring Swaziland. You can partake in a nature walk, or do one of the many optional activities available. A visit a local craft market, a cultural encounter at a traditional village and mountain biking are some of the activities on offer. The afternoon sees us leaving Swaziland and entering the traditional tribal lands of the proud Zulu nation. This evening there is an included cultural evening where you have the opportunity to experience Zulu traditions. We set off on an early morning game drive into the Hluhluwe- Umfolozi Game Reserve. This national park is home to the Big 5 and is especially known for its high concentration of both black and white rhinos. The park is an integral part of the on-going war against rhino poaching. After an informative game drive we head back to camp for a well-deserved rest. The late afternoon sees us heading out on a boat cruise on St Lucia Estuary – a World Heritage Site. Durban is our final destination and is a popular holiday destination with its famous Golden Mile and safe swimming and surfing in the warm Indian Ocean. Durban has a lot to offer and clients are encouraged to spend some time exploring the city.